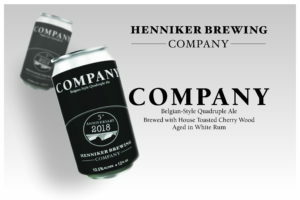 HBC Brews – Henniker Brewing Co. Bold and bitter! Fruity and fresh! 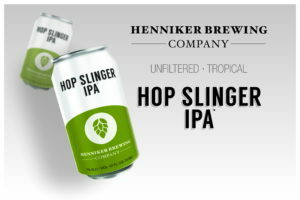 We searched around the world to bring you the best hops on the market for this juicy, aromatic IPA! Aromatic and juicy! Fruity and fresh! We searched across the country to bring you the newest and best hops on the market for this delicious IPA. The Idaho 7 and El Dorado hops come to us from the pacific northwest and help to bring Hop Slinger a unique flavor profile to make it stand alone in a world full of IPAs. Look for beautiful tropical fruit notes of mandarin orange peel, ripe peach, tangerine, and pineapple. Crisp, refreshing, clean, and extremely drinkable. 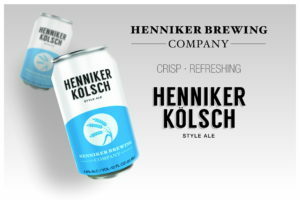 Just the way the style was intended when it originated in Cologne, Germany at the Sunner Brewery in 1906. Crisp, refreshing, clean, and extremely drinkable. 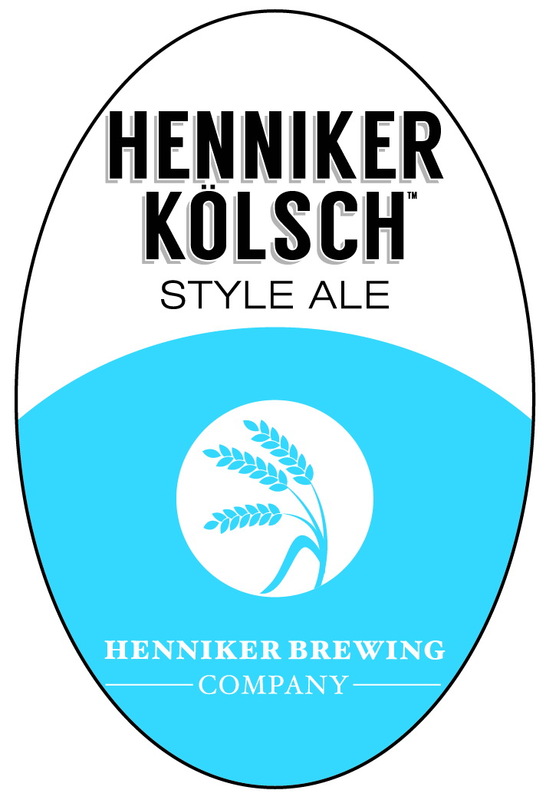 Just the way the style was intended when it originated in Cologne, Germany at the Sunner Brewery in 1906. We stay true to those German roots with a blend of Pilsner and Cologne malt, German Magnum hops, and Eastern European Saaz. We drink this beer in respect to those brewers who helped pave the way. Look to pair it with chicken, salads, or a brat! An English Style Dark Ale brewed in the tradition of England's Industrial Revolution, an age of rough-handed factory workers, a time before the weekend existed. 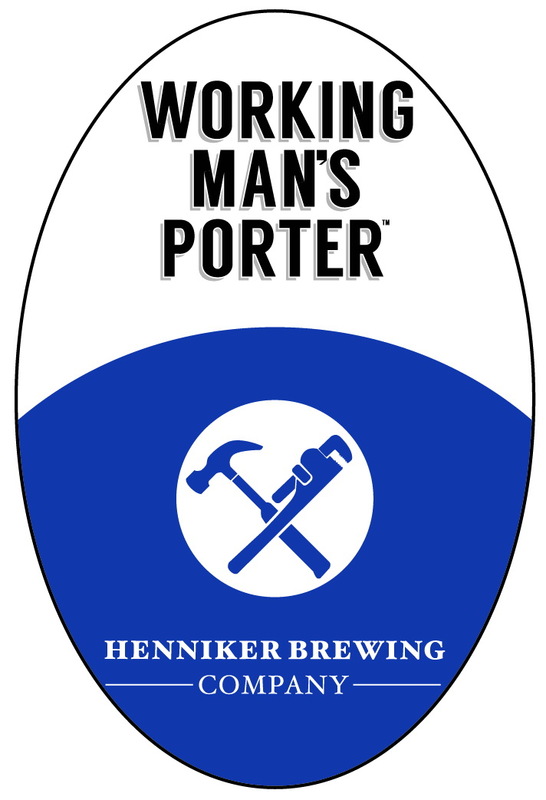 Hearty and truly robust, this Porter's body is built with complex English brown and black malts, and refined by Bramling Cross hops, which lend notes of herbs and black currants. It pairs well with oysters, shepherd's pie, and sitting down after a long day. Fitz Cogswell was a true, blue collar, working man. Having worked at an old tin mill located in downtown Henniker this beer was made in his honor and for all those like him. Your work day is over, sit back, relax, and have a beer with Fitz! 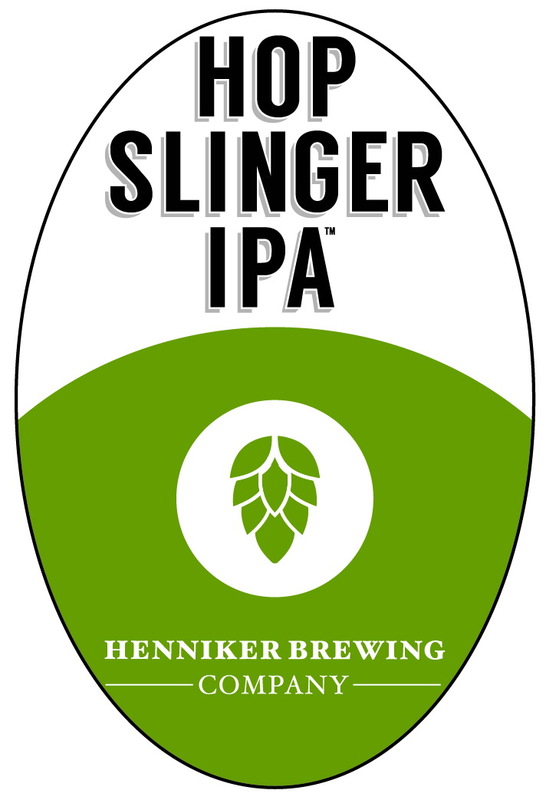 A session IPA, lighter bodied, with bready malt notes and a juicy, tropical hop aroma. 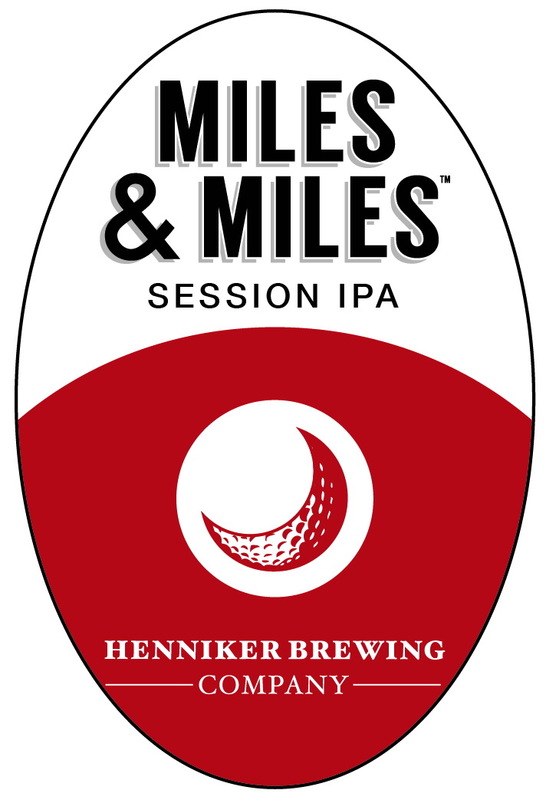 Named in honor of Derry, New Hampshire's own Captain Alan Shepard, Miles & Miles is a session IPA, lighter bodied, with bready malt notes and a juicy, tropical hop aroma. 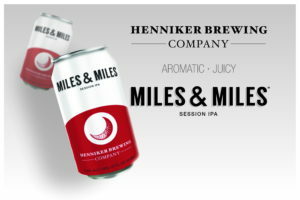 We dry-hopped Miles & Miles with over a pound of hops per barrel using a blend of Citra and Vic Secret, two of the most sought after hops on the market. This beer pairs well with grilled meats, sharp cheeses, and koozies. Captain Alan Shepard was born in Derry, NH and was the second person and first American to travel into space. He became the fifth and oldest person to walk on the Moon, and the only astronaut of the Mercury Seven to walk on the Moon. While on the Moon, Shepard used a Wilson six-iron head attached to a lunar sample scoop handle to drive golf balls. Despite thick gloves and a stiff spacesuit, which forced him to swing the club with one hand, Shepard struck two golf balls; driving the second, as he jokingly put it, "miles and miles and miles". We ain’t playing around with this bad boy. Brewed with malted oats, unmalted wheat, our house English Pale malt, and enough American Hops to make you stand and say the pledge of allegiance. We got that new goodness: a three and a half pound per barrel mix of Vic Secret, Denali, Huell Melon, Chinook, Azacca, and Equinox hops. You’ll get juicy notes of mango, peach, pineapple, and grapefruit pouring out of the can. 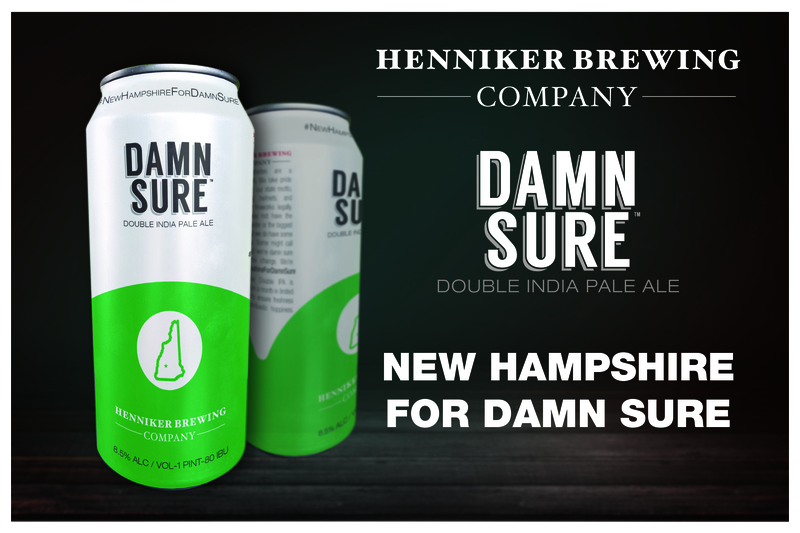 New Hampshire beer is officially on the map. 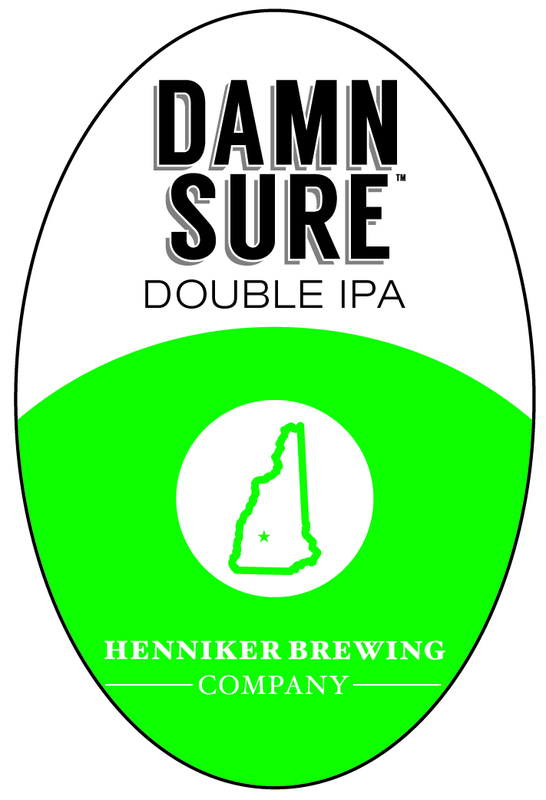 Just like the conditions in New England, our rotating IPA is ever-changing. Hop heads are always looking for what’s next, so we plan to keep you on your toes with this series. Look for the batch number on the bottom of your can and match it up with the batch numbers below for details on what's inside. Continue to check back with us for more releases throughout the year! Tasting Notes: Tangerine and mandarin orange at the start, finishes grassy and spicy. Dry and crisp! 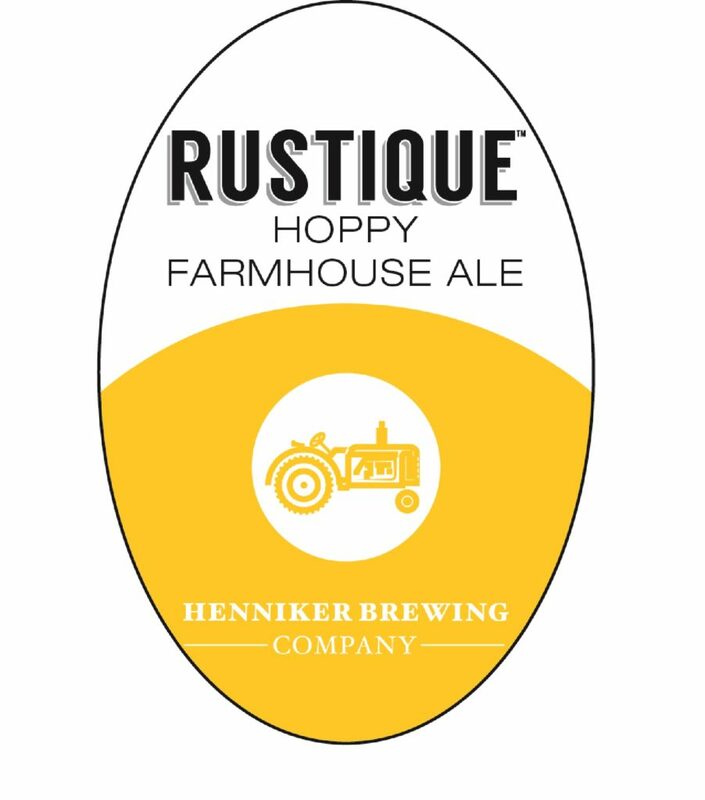 Our hoppy farmhouse ale blends new world hops with an old-world style yeast. Our spring seasonal hoppy farmhouse ale blends new world hops with an old-world style yeast. This combination creates a brew that is refreshingly crisp, bright, and complex. Look for juicy notes of tangerine, pineapple, passion fruit, and ripe melon, combined with a dry, peppery finish for the perfect beer to help you kick off spring! Life on a farm centuries ago possessed few luxuries outside of a warm fire and a tankard of house-brewed ale. It was brewed for a basic purpose—to refresh, sustain and comfort a hard-working body and mind. 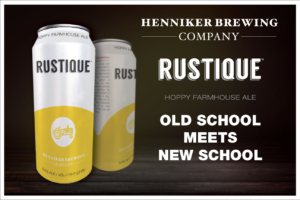 Rustique was brewed combining those basic farmhouse ale principles with all the benefits of new school brewing. 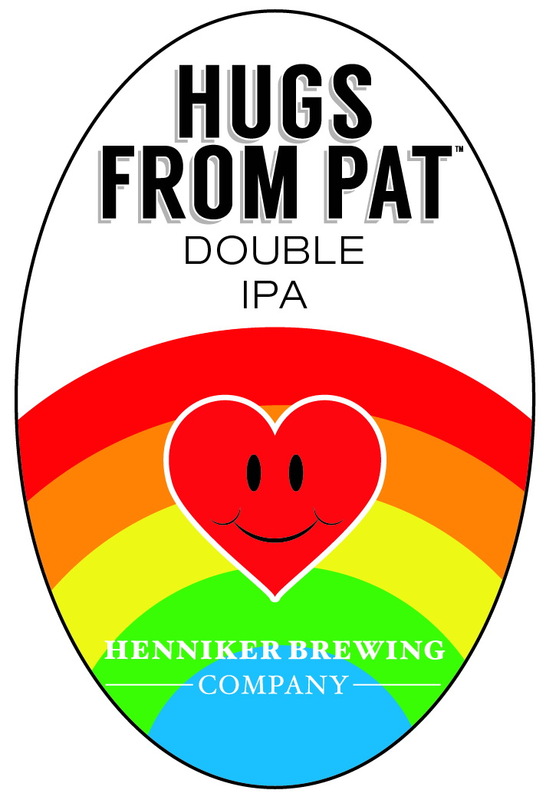 A clean, refreshing style, mixed with Vic Secret, Huell Melon, Mandarina Bavaria hops and our house yeast strain. Sit back, relax, and enjoy! As the weather warms, our palates drift from robust, bracing beers towards drier, brighter and tarter styles. 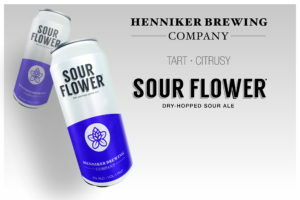 That's where Sour Flower comes in. Dry-hopped for notes of juicy tropical fruit to balance the sour, tart, lemony zing. It’s the perfect beer for rising temperatures and longer days. Pair it with pickled veggies, smoky BBQ, and feeling the grass in between your toes. Get some pancakes cooking on the cast iron skillet and put on your slippers. It’s winter, and even though everything outside is frozen, you can take comfort in a hearty pint of The Roast. 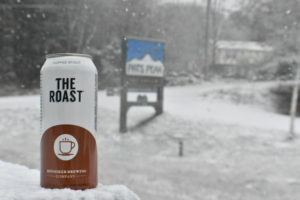 Our winter seasonal Coffee Stout is brewed with over 15 pounds of locally roasted gourmet coffee beans per batch (Kenya AA, Guatemala Antigua, and Espresso) from our friends at White Mountain Gourmet Coffee in Concord, NH. Wonderfully aromatic and totally satisfying, The Roast is how we like to relax after a day of hitting the slopes or fighting over parking spaces! 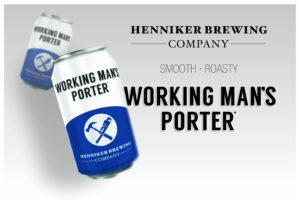 Our philosophy at Henniker Brewing has always been to support local. 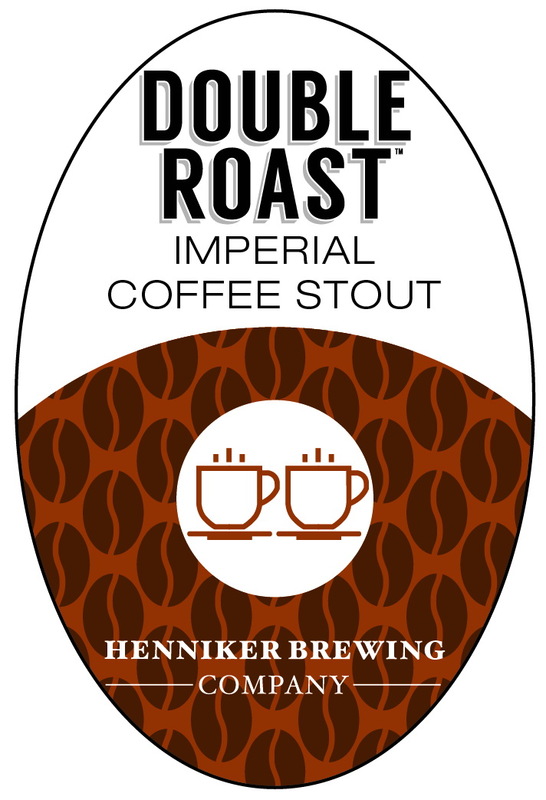 So when it was time to come out with our first seasonal back in 2014 we thought a Coffee Stout using locally roasted coffee beans from our friends at White Mountain Gourmet Coffee in Concord, New Hampshire would be the perfect fit. We hope you enjoy it as much as we do, cheers! As comforting as the smell of a camp fire with the drinkability to back it up. Experience a different side of craft beer. ​Hoppy. Malty. Sour. Sessionable. Imperial. Light. Dark. Smoky? Yes, smoky. In today’s world of craft beer, the options are endless. Why stick with one style? We like to showcase a full spectrum of colors, aromas, and flavors in our beers. That’s where Splitter comes in. 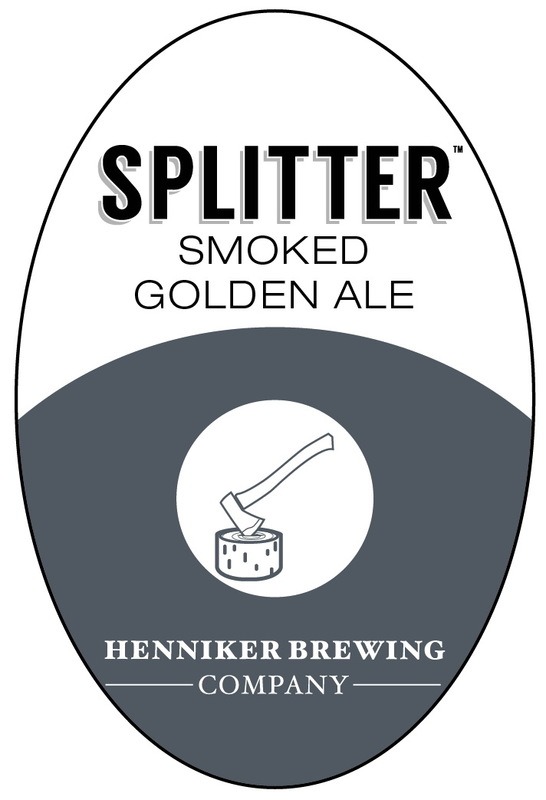 Our Smoked Golden Ale brewed with noble hops and smoked malts adds a new dimension to our lineup. As comforting as the smell of a camp fire with the drinkability to back it up. Experience a different side of craft beer. Germany meets Maine in our new Wet Hopped Kolsch Style Ale brewed with Sterling hops from The Hop Yard in Gorham, Maine! 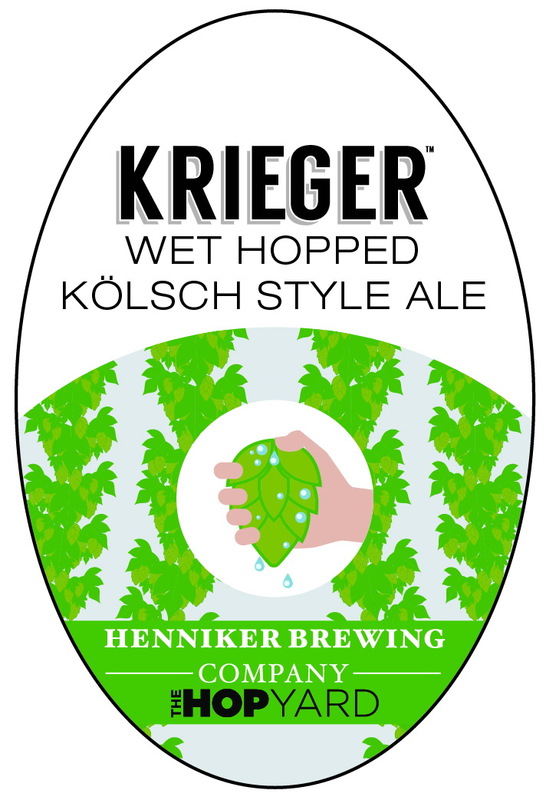 Germany meets Maine in our new Wet Hopped Kolsch Style Ale, Krieger! 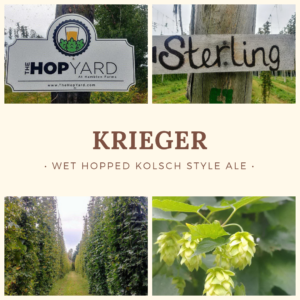 We traveled to Gorham, ME to see our friends at The Hop Yard and pick Sterling hops fresh from the bine to add to this classic German style. 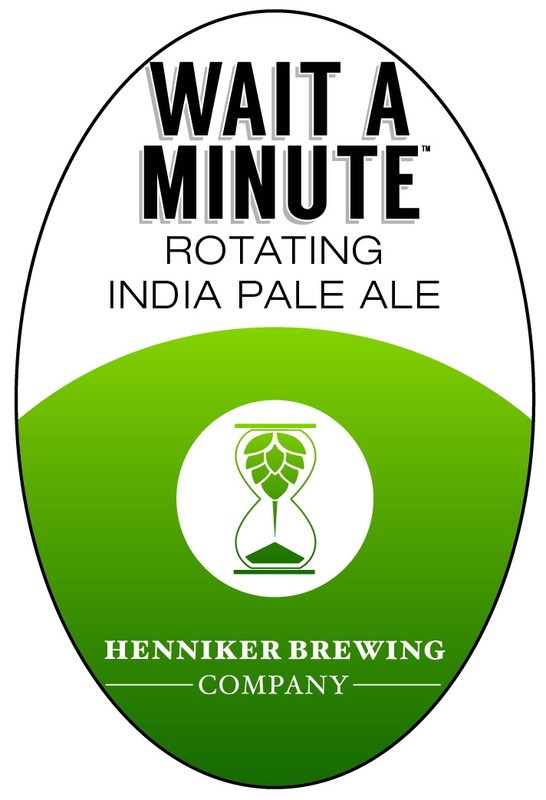 These hops add a delicate balance of herbal notes with a little spice, and a beautiful citrus aroma. Perfect for pairing with sausage, salads, or a fresh caught Maine lobster! 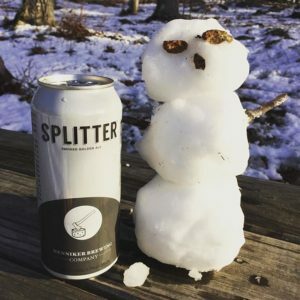 Flap Jack is brewed in the spirit of true New Englanders: a robust Double Brown Ale with locally sourced maple syrup sturdy enough to stand up to the chilly nights and shortening days. Fall is here, friends! Grab your sweaters. As the temperature drops, we here at the brewery are reaching for heartier, darker beers and think you should too. 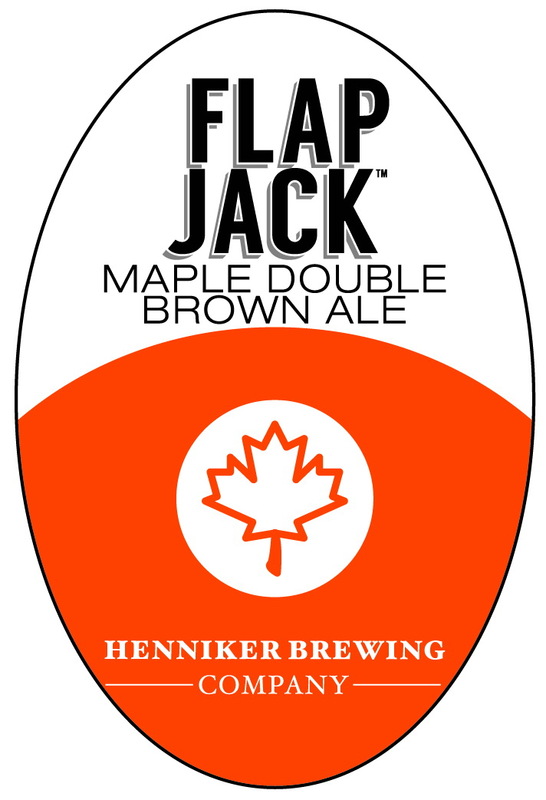 Flap Jack is brewed in the spirit of true New Englanders: a robust Double Brown Ale with locally sourced maple syrup sturdy enough to stand up to the chilly nights and shortening days. Enjoy this beer with roast lamb leg, pot pie, and leaf peeping! ​As the leaves start turning, here at the brewery we start to hear a ghostly voice on the wind, whispering “When are you guys going to make a pumpkin beeeer…” With pride in our chest and fire in our eyes we answer “Never. 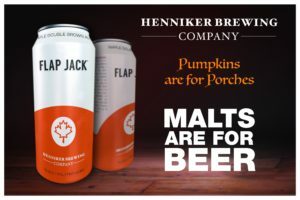 Pumpkin beers are gross.” Flap Jack is the un-pumpkin beer: sturdy, rustic, with all the complexity our beloved English malts can provide, and a touch of pure New England maple syrup. Pumpkins are for porches, malts are for making beer. 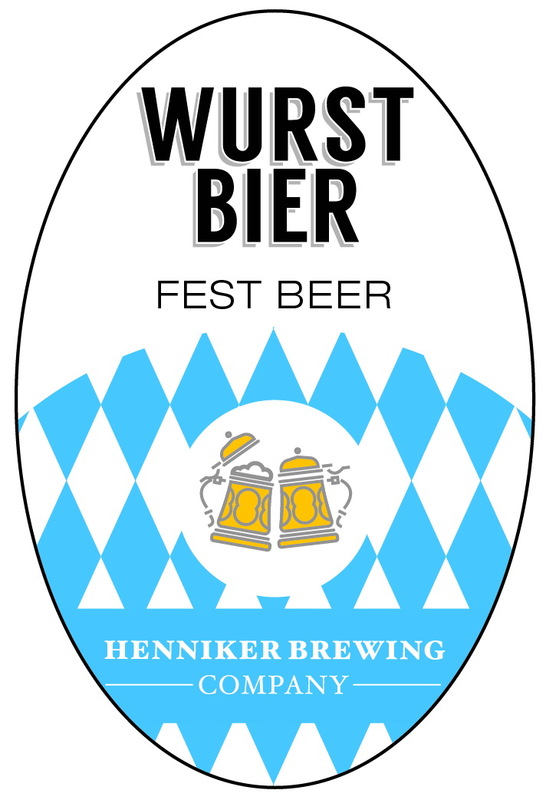 We bring you Wurst Bier, our Fest Beer. Brewed for our friends at ABV% Beverage in PA. Grab a stein, bratwurst, and a pretzel. Prost! Limited Release, only available in the tap room and Pennsylvania. Philadelphia- the city of brotherly love. 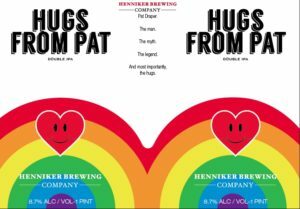 From day one we've been shown nothing but love and support across PA. We wanted to return the favor the best way we know how, by teaming up with our distributor, ABV% Beverage, to brew a beer especially for you. 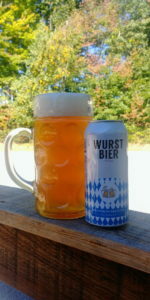 We bring you Wurst Bier, our Fest Beer. Grab a stein, bratwurst, and a pretzel. Drink up Pennsylvania, this beers for you. Prost! Pat Draper. The man. The myth. The legend. And most importantly, the hugs. And most importantly, the hugs. Brewed with a blend of coffee beans from White Mountain Gourmet Coffee in Concord, NH. We took everything you loved about The Roast and kicked it up a notch. Welcome to the dog days of winter. It's that time of year when you walk outside and say to yourself, why do I live where the air hurts my face? Well don't worry friend, Henniker Brewing has your back. 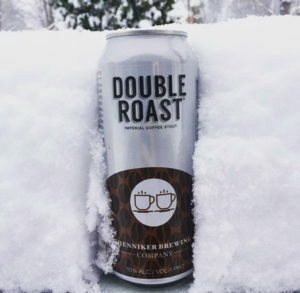 Double Roast, our small batch, Imperial Coffee Stout is here to be your warmth in the frozen tundra. Brewed with a blend of coffee beans from White Mountain Gourmet Coffee in Concord, NH. We took everything you loved about The Roast and kicked it up a notch. Sit back, relax by the fire, and let Double Roast ease you into Spring. 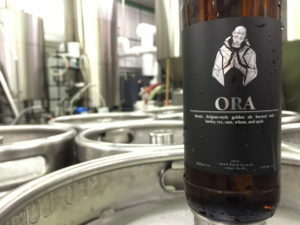 This beer is as simple or complex as you want to make it. Its balance of nuanced notes reminds us of jazz music. 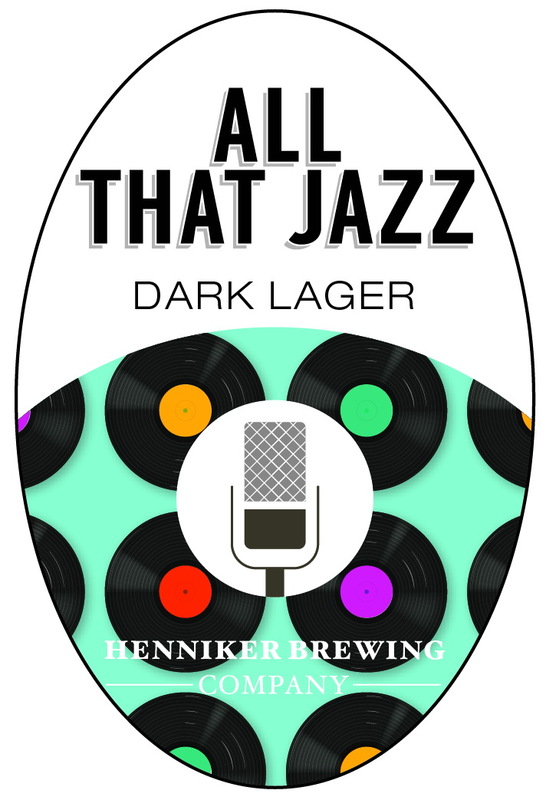 We think more beer should be All That Jazz. This beer is as simple or complex as you want to make it. It is perfectly fine playing the masterful background role or being given a full solo showing its chocolate, roasty malts and subtle smoke in harmony that quietly commands attention. Its balance of nuanced notes reminds us of jazz music. 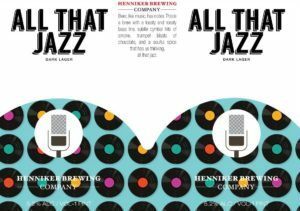 We think more beer should be All That Jazz. 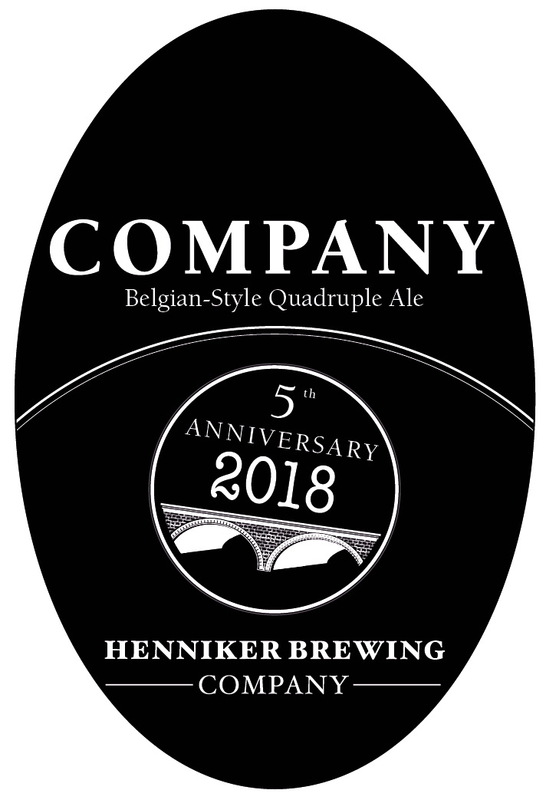 Company is a Belgian-style quadruple ale brewed in celebration of our 5th Anniversary! We brewed Company using house-toasted Cherrywood that was aged for months in white rum from our friends at Flag Hill Distillery in Lee, NH. Look for notes of banana, marzipan, cherry, with a kiss of rum on the back end. ​This brewery started with four guys, an abandoned warehouse, a passion for craft beer, and a dream. Every year that dream continues to grow and none of it would be possible without you! We drink this beer in appreciation of your support over our first four years in business and hopefully many more into the future. Cheers to five years of great beers and good Company! 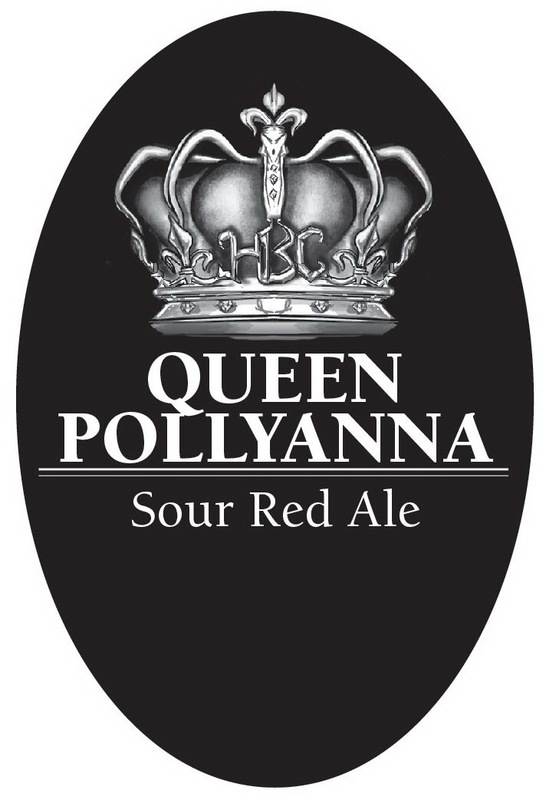 ​Queen Pollyanna is our second release in the Off the Grid Series and a new addition to our lineup for 2017. It's a Sour Red Ale we brew with white oak, red wine barrel staves from our friends at Flag Hill Winery in Lee, NH. -A person characterized by irrepressible optimism and a tendency to find good in everything. ​Work, bills, stress, life can be tough, but don’t let it get you down. While we do encounter plenty of misanthropes on a daily basis it’s always nice to have someone like Queen Pollyanna around to make you realize everything will be okay. 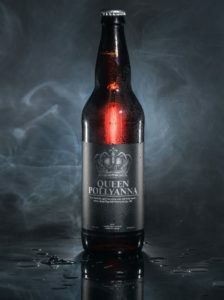 We brew this beer in her honor and to all those who see the good in life, cheers! The Benedictine monastic lifestyle is one of quietude, hard work, and prayer. The monks are up before the sun rises for the first in a series of prayers known as the Divine Office, prayers which are chanted in a plain, but beautiful, monophony. The sounds of many voices brought together in a single plainsong that fills their church, mingles with incense, and rises up towards heaven. 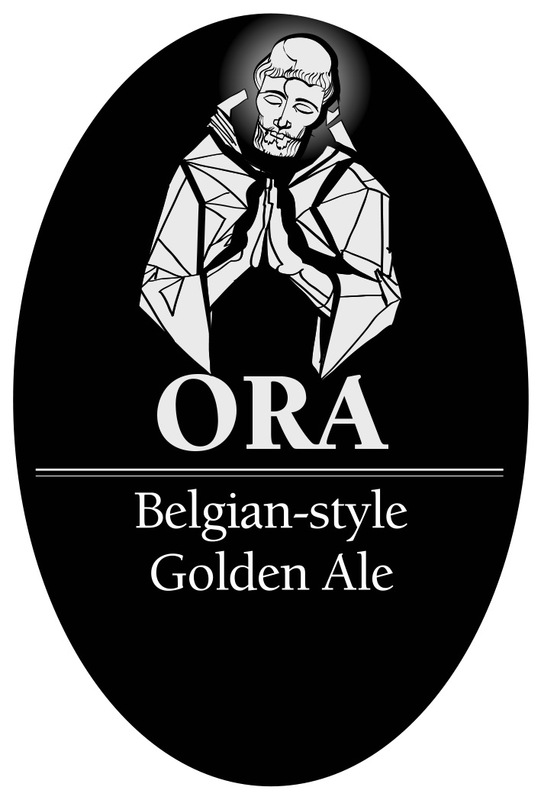 Ora, our Abbey Trippel (or Belgian Strong Gold depending on who you ask), reflects the same aesthetic by bringing together barley, oats, rye, wheat, and spelt, as well as hops and three house-cultured Belgian yeasts into a unified whole. St. Benedict's motto was "Ora et Labora" which translates to "Pray and Work." We brewed this beer believing that, if you do it right, those two actions can be one in the same. Bold, dark, strong, and unapologetic. 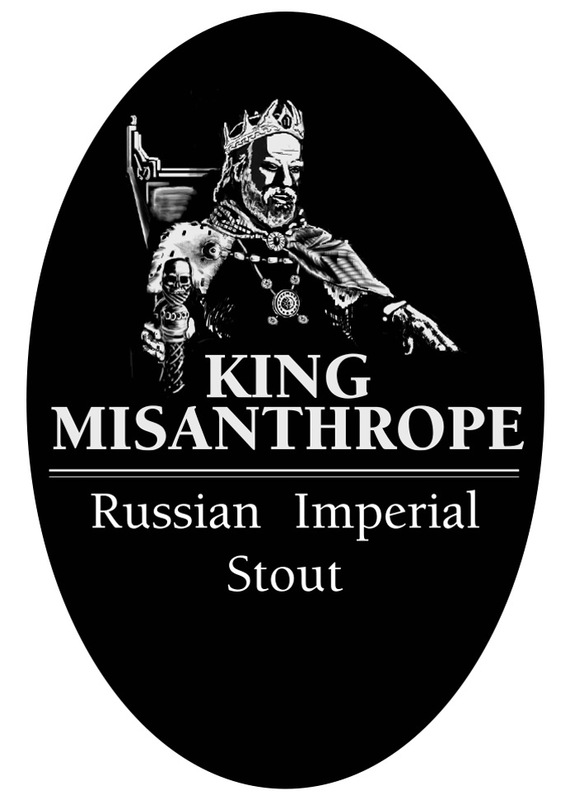 King Misanthrope is a Russian Imperial Stout aged on house-toasted Maplewood cured with American whiskey from Flag Hill Distillery in Lee, NH and is the 4th release in our Off the Grid Series. Look for notes of baker’s chocolate, coffee, maple, figs, charred wood, and whiskey. -A person who dislikes humankind and avoids human society. 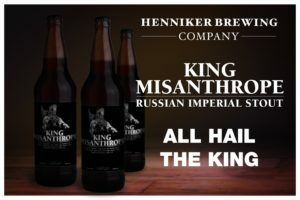 The king doesn't care about your opinion or Untappd score, just let him drink his beer and get out of his face.